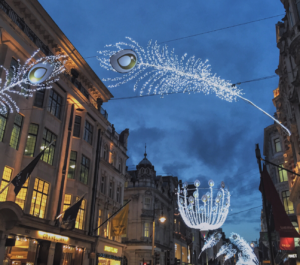 You may be tempted to stay in and escape the cold, but Christmas is one of the best times to be in London, with plenty to see and experience. Here are 15 ideas of things to do at Christmas to get you rocking around the Christmas tree! 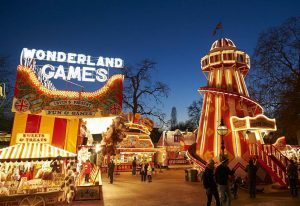 Every year, on the corner of Hyde Park, the magical Winter Wonderland pops up – a collection of funfair rides, shows, an ice-skating rink and pretty wooden stalls selling fun gifts and delicious food and drink. Although you will need to pay for rides and performances, entrance is free and it’s a great way to soak up the festive atmosphere while browsing Christmassy trinkets and enjoying seasonal music. It is open in the Christmas months all day from 10am, so if you want to bring smaller children come early to avoid the big crowds. 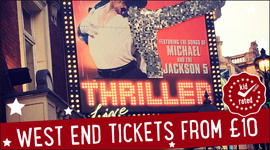 2016 is the first year that Leicester Square will be transformed into a Christmas-lover’s dream, with 8 weeks to enjoy a Christmas market, warming food stalls, hand-crafted gifts, festive decorations, Christmas shows and family activities. Of course, Santa will be there to find out if you’ve been naughty or nice, so don’t miss a trip to his grotto. Admission is free. In major areas of London, around Oxford Street, Regent Street and Covent Garden, Christmas lights will provide a huge part of the festive atmosphere. Drop by to gaze, or check for details on when the lights will be switched on, signalling the start of the Christmas period. 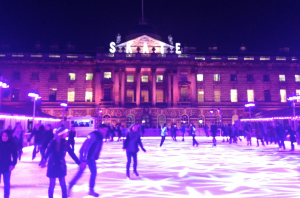 There are lots of great outdoor skating opportunities in London at Christmastime, in beautiful locations such as Hyde Park’s Winter Wonderland, the Natural History Museum, the Tower of London, Hampton Court Palace and Somerset House. Soak up the festive atmosphere as you make your way around the ice. Sessions can get busy, so book ahead and consider whether your children will be comfortable skating on a busy rink. However, at most sites even smaller kids can enjoy skating with skate aids. Every year, the City of London is given a huge Christmas tree from the city of Oslo. Drop by Trafalgar Square to take a look, and maybe get involved in some carol singing. Okay, we may not all be able to afford to get our Christmas gifts from this luxurious department store, but that doesn’t mean it isn’t worth having a gander. Kids will love visiting the Toy Department, and it can be a great place to get ideas for presents. The Warner Brothers Studio Tour is a must for all Potterheads at any time of year, but add to the nostalgia by visiting at Christmas. 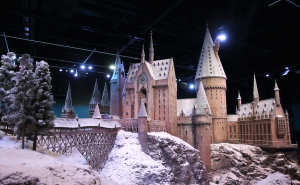 As well as seeing lots of props and sets and finding out production secrets from the eight famous films, from November through to January the model replica of Hogwarts castle will be covered in snow and sets will be decorated as they were for festive scenes. Butterbeer, anyone? From November, the Southbank Centre puts on a series of festive shows and performances to get you in the Christmas spirit. 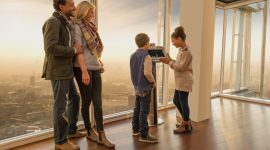 There will also be fun pop-ups and activities, such as the annual Christmas Market and the Bump Roller Disco, with family-friendly skating. The Geffrye Museum explores our use of homes from 1600 to the present day, so over the Christmas period the museum has an annual free exhibition of Christmas Past, revealing the origins and meanings of over 400 years of seasonal traditions. The rooms are transformed with decorations, lighting, greenery and music, each representing a different era of English history, so you can walk through time and find out why we hang stockings or decorate the tree! 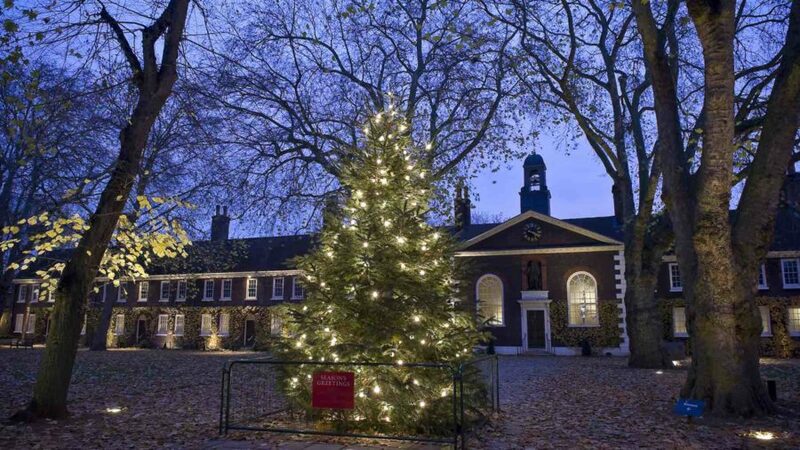 Also look out for the museums festive programme of events, including a Christmas fair and carols. If you visit Kew at Christmastime, you can enjoy a range of festive treats and activities. However, the real magic starts at twilight. A one mile path through the gardens is festooned with lights, making the plants, trees and structures of Kew glow. Be transported by the Christmas trees, scented fire garden, glittering trees and tunnel of light. Santa will be with his elves, plus there will be vintage family rides, Christmas gifts and heartwarming festive food and drink on offer. The trail is very popular, so book yourself a timed slot in advance. Belt out some seasonal favourites at one of hundreds of carol concerts around the city – or find some friends and see if you can impress any passers-by! With Christmas markets on every corner, there is sure to be one near you. 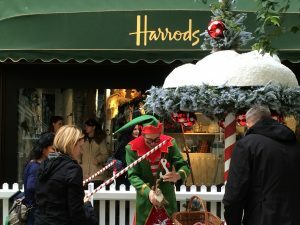 However, if you’re looking for something special in the capital, try a traditional Christmas market with wooden cabins and chestnuts roasting on an open fire – some favourites are Hyde Park’s Winter Wonderland, the Christmas Market at the Tate Modern complete with Victorian carousel, or London Bridge City Christmas Market. If you’re looking for something bigger, you’re sure to find the perfect gift at Olympia’s Spirit of Christmas Fair, which has hundreds of independent boutiques. Foodie? Try the Real Food Christmas Market at the Southbank Centre. Or for something completely different, visit Hyper Japan at Tobacco Dock, where you can buy Japanese handcrafted items, enjoy Japanese food, and take part in creative workshops such as mask and doll painting. Charles Dickens’ Bloomsbury townhouse is decorated for a Victorian Christmas. Make sure to look up the programme of events, and stop by for some carol singing, storytelling or a candlelit tour. 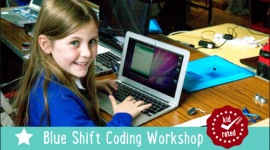 Initiate the kids into a festive tradition of interactive theatre. 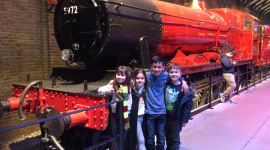 There are plenty to choose from across London, from Chickenshed Theatre’s festive special Christmas Tales from the Shed for children aged up to 6, to the National Theatre’s version of Peter Pan. 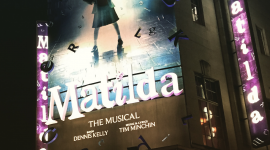 Check out KidRated’s guide to the Top 5 Pantomimes. 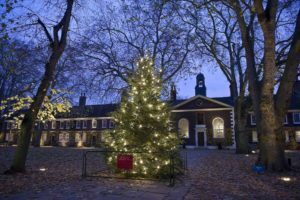 This annual event at Dulwich Picture Gallery is a lights trail with carolling, plus local artists and artisans sell their wares at the Christmas market. Pick up some original Christmas gifts, enjoy a slice of cake, and let your children settle in for some storytelling. Visit the market during the day for creative workshops.